We require one professional letter of recommendation from a person who has supervised your work and/or has assessed your performance during your career. Professional recommendations are strongly recommended (i.e. direct supervisor, indirect supervisor, or a client). 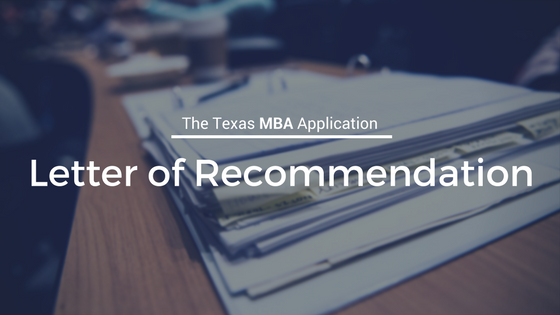 If you are unable to request a letter of recommendation from your direct supervisor or feel that another recommender would be more appropriate, please explain why in your optional statement. When you think about it, you (the applicant) have direct control over most components of your application – you write your essays, you take your exam, you earn your GPA, you draft your resume. The recommendation letter is one of the only things you rely on someone else to provide, which is why it can seem daunting. Circumstances differ for every applicant, so deciding who you should ask will vary depending upon your personal professional situation. Below are some scenarios to help guide you in choosing your recommenders.